Your industrial furnace and controls are only as accurate as the systems controlling them. Ensuring the accuracy of furnace controls and recorders across control zones is vital for meeting audit and compliance demands — and ensures optimal furnace performance. Conrad Kacsik uses certified field test equipment to verify the performance of your furnace system components. With precision instruments, we can find temperature deviations and ensure that all systems are within acceptable tolerances. Our results are NIST traceable and conform to all applicable industry requirements. Our proven technicians will travel to your facility to ensure the accuracy of furnace control and data acquisition systems. 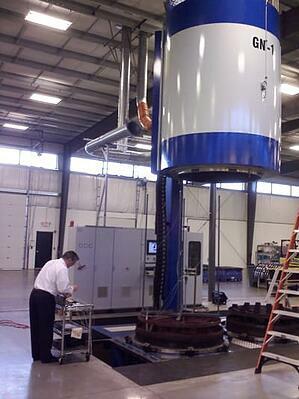 We use procedures and reports that exceed the requirements of AMS2750. In addition to furnace system accuracy tests, we provide instrument calibration services and temperature uniformity surveys. Trust your systems to Conrad Kacsik, the recognized leader in instrumentation services for clients with a thermal processing application. Contact us today to get started.